Major David Baucom began his career in law enforcement with the Mecklenburg County Sheriff’s Office in December of 1992 and came to work for the Cornelius Police Department in April of 1999. He has worked assignments in Patrol, Support Services, and Communications. He is a graduate of the Management Development Program and holds an Associate Degree from Central Piedmont Community College. He also serves as a Specialized Instructor in Firearms, Less Lethal Munitions, Chemical Munitions, Distraction Devices, and OC Pepper Spray. In addition, he is one of the Commanders of the North Mecklenburg SWAT Team. 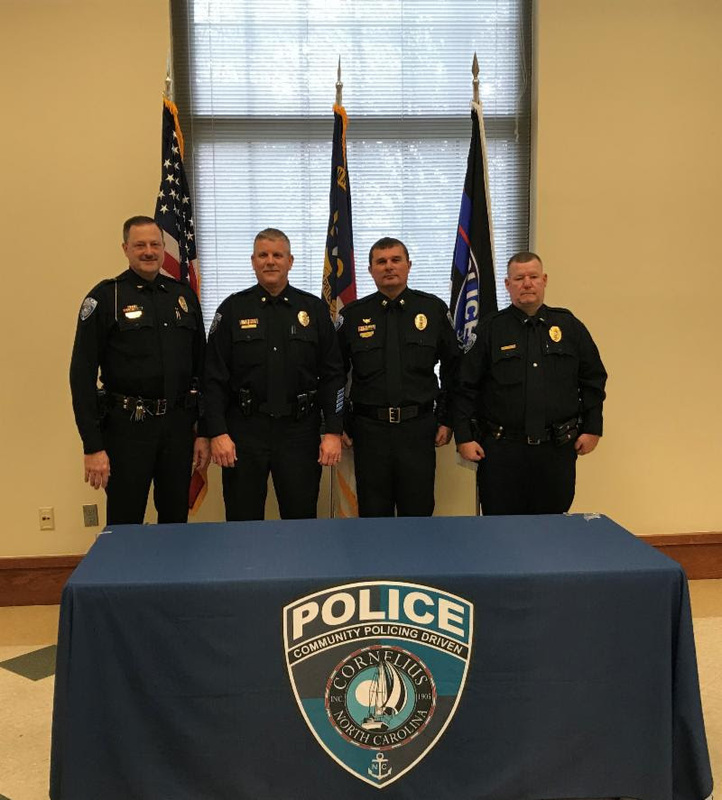 Captain Tony Sharpe began his career in law enforcement with the Statesville Police Department in 2000 and came to work for the Cornelius Police Department in May of 2004. He has worked assignments in Patrol, Support Services, and Criminal Investigations. A graduate of the Management Development Program, he also holds an Associate Degree from Mitchell Community College and a Bachelor’s Degree in Criminal Justice from Liberty University. He holds numerous Instructor Certifications including Firearms, Physical Fitness, Taser, OC Spray, Less Lethal, and several more. He is also a Team Leader on the North Mecklenburg SWAT Team. Lieutenant Chris Roper began his career in law enforcement with the Cornelius Police Department in 2000. He has worked assignments in Patrol, Traffic Safety, Criminal Investigations, and Vice Narcotics. He is currently working on his Associate’s Degree from Stanly Community College in Criminal Justice. He is a General Instructor, and holds an instructor certification in Mobile Field Force, and is a traffic crash reconstructionist through the North Carolina Justice Academy.